Check out this latest album from Noom Sery called Lao Pen Lao (ລາວເປັນລາວ) meaning Lao is Lao. Ten original pop and rock songs are in the album and all of them are written by lead singer of the band. Noom Sery Band is a pop/rock band from Grove city/Ohio. 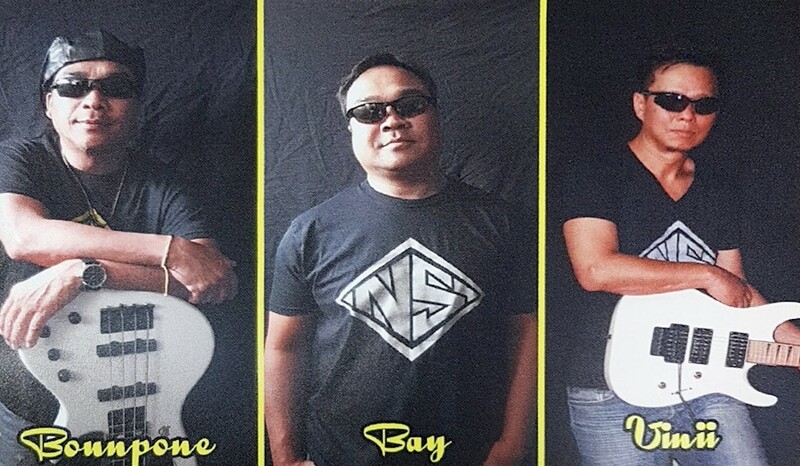 Band members include three awesome musicians with decades long experience Bounpone Vathananonh, Bay Vathananonh and Vinii Rattana. Bounpone is a lead singer who also plays bass guitar and keyboard. Originally came from the southern province of Laos, precisely he is from Saphai village. It situates about seventeen kilometres north of Pakse, a capital city of the most populous southern province known as Champasak . Saphai village is known for it producing top quality Lao woman clothing and silk weaving. Today it is a popular tourist destination. Activities include kayaking, fishing, sun baking at the most beautiful Mekong beach in nearby Donko Island. Bounpone pens and sings all songs in this album. Ten original and fantastic pop and rock songs are available for your listening. He and Bay are brothers. They left Laos since they were very young and now they call America home. Bay Vathananonh plays drum. This drummer is very much talented and in control with big sticks. In this album Bay not only has this perfect opportunity to show off his ability to bang those tomtoms & gongs hard like a man, he also demonstrates quick feet to catch attention of dancing queens. Sound like all these songs are written by Bounpone specifically for Bay to showcase his drumming skills. So much emotion, storytelling and power illustrate. 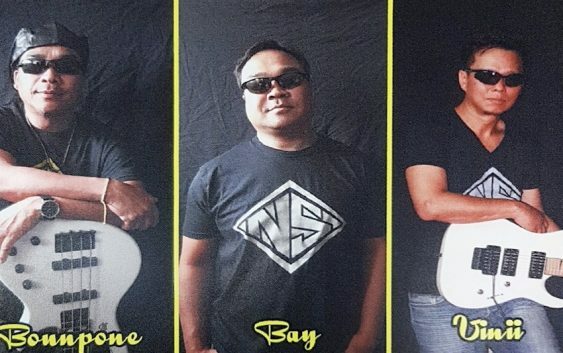 Vinii Rattana is a third member of Noom Sery band. In fact he is a special guest musician whose invaluable contributions really makes all songs sound effortless cool. He plays lead, bass guitar and occasionally jumps on keyboard. This album produced and recorded by Vinii Rattana as well. He has his hands full in making this album great. These three hard working musicians brought their vast experience as artists, performers and producers coming together to make this fine album ” Lao is Lao”. And hopefully in turn they will empower more youngsters or other musicians to produce more songs. CD purchase can be made by direct contact with band members. Links are below. Laopress.com: What you got started Noom Sery. How many people exactly are there in the band? Laopress.com: How often do get together to play? Laopress.com: Tell us about your new album, what inspired it? Laopress.com: How do you describe your music? Laopress.com: How long does it take to produce this album? Why? Noom Sery: This album took 6 months to complete from signing of the contract with Javelin Records to final mix down… Hardest part is writing the lyrics and getting the music to match the lyrics. Our songs have been through so many changes, with new ideas every day. Laopress.com: Who is role model or musical influence? Who are your musical heroes? Laopress.com: Which song is your favourite song from the latest album? Why? “Maybe Tomorrow” – lyrics tells us about everyday relationship and that we will meet again Maybe Tomorrow ..
Laopress.com: How many albums you released? Laopress.com: How often do you play? Laopress.com: Who do you like playing live? Laopress.com: What do you do to relax? Noom Sery: Family/friend gatherings and having few cold ones … jam and write music ..
Laopress.com: What are your favourite Lao dishes and best places that you have visited so far? Best places to visit … our Homeland … Saphay ..
Laopress.com: When was the time that you visited your birthday place Ban Saphai? When will you go again? Laopress.com: What are you working on? Noom Sery: Currently writing new music and new materials for our next album .. stay tuned ….